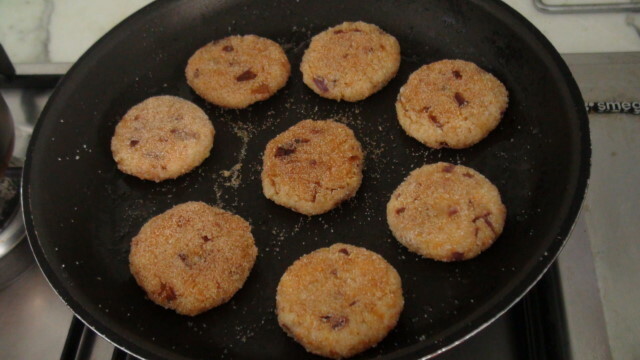 'Leftover Rice Cutlets' Recipe - Being Mumma! All we mommies quite frequently face the battle of consuming leftover rice creatively and healthily! All of us are on the lookout for some quick and simple recipes to get that already cooked white rice in some palatable form on our kids’ plates. So here I am with a quick and smart recipe of ‘Leftover Rice Cutlets’ that will get your kids and husband munching away the leftover rice irresistibly. Gram flour (Besan) – 4 tbsp. Semolina (Sooji) – 2 tbsp. Cumin Seeds (Jeera) – 1 tsp. Take gram flour and semolina in a microwaveable bowl. Mix the two well. 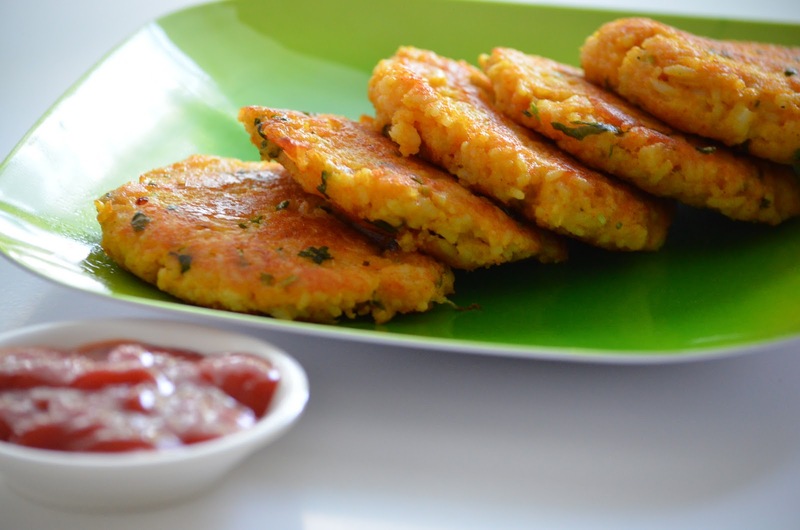 Gram flour helps the cutlets bind and semolina provides a crispy texture to them. Add 2 tbsp. oil and roast it in the microwave for a minute. To the dry roasted mixture of flour and semolina, add all the spices (red chilly powder, turmeric powder, asafoetida, cumin seeds and salt) according to taste. 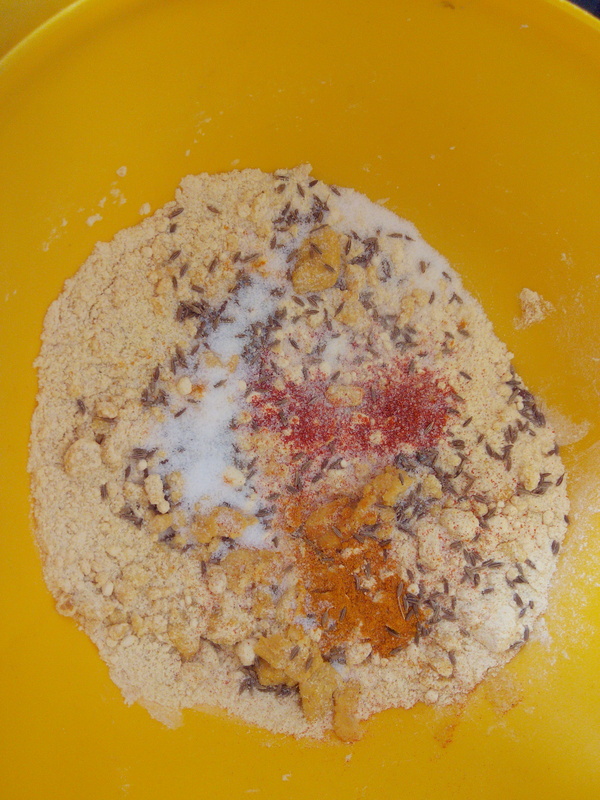 Mix the cooked rice and the roasted mixture thoroughly. Do it with gentle hands so that the rice does not lose its texture. Add chopped green chilies and chopped onions to the resultant mixture. Mix all the ingredients thoroughly and knead them into flattened balls. Using a flat and thick bottomed pan, shallow fry the rice cutlets in little oil on low flame till they turn crispy and golden brown. Garnish with fresh green coriander leaves and serve hot with tomato ketchup.